Indian Prime Minister Narendra Modi will attend the 2015 ASEAN-India and East Asia Summit in Malaysia. It’s late November and Asian summitry is in the air. India, which has long sought to “Look East” and, of late, has sought to “Act East,” won’t be left on the sidelines. 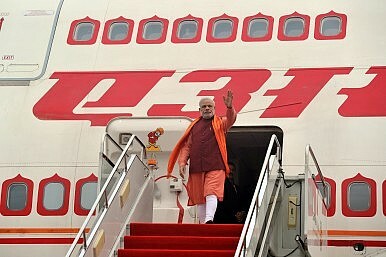 Indian Prime Minister Narendra Modi left on a trip to Malaysia and Singapore on Friday to attend two important summits: the ASEAN-India and East Asia Summits. Modi will also meet with Malaysian Prime Minister Najib Razak to discuss bilateral issues in India-Malaysia relations. In Singapore, Modi will focus on building private sector interest in investment opportunities in India and tout his “Make in India” initiative, which aims to bolster India’s manufacturing sector. Modi’s four-day visit will be closely watched by observers back home, given the broad economic and security agenda. Ahead of his trip, the Indian prime minister noted that the summits in Malaysia will focus on “pressing security issues.” “The looming threat of terror and the prevailing situation in West Asia will also be a part of the discussions,” he added. The East Asia Summit (EAS) is one of the broadest Asia-Pacific summits to take place every year, including 18 countries from both within and outside the region. Notably, the United States and Russia participate in the summit. India is a founding member of the summit, which first convened in 2005. Modi described India’s relationship with Malaysia as the “core” of its “‘Act East Policy. '” In 2014, Modi’s government re-cast India’s older “Look East Policy” as an “Act East Policy,” signaling that his government would shore up India’s engagement with East Asia. “The ASEAN nations have welcomed India’s ‘Act East Policy’ and we in India are extremely enthusiastic to have better relations with the ASEAN family in areas such as defence, security and cultural ties. Robust India-ASEAN ties will give great impetus to our collective dream of making this century an ‘Asian Century’,” Modi said, previewing the agenda of last year’s ASEAN-India summit. In recent years, India has become more outspoken on maritime and territorial disputes in East Asia, particularly the South China Sea. In joint statements with high-level officials from the Philippines and Vietnam, two claimants in the South China Sea who regularly struggle with China, India has come out and explicitly called for the resolution of all disputes in a peaceful manner in accordance with international law. The Indian Navy has also recently expanded its military-to-military contacts with various Southeast Asian states, suggesting that New Delhi is taking its security interests in the region seriously. North Korea's foreign minister is in New Delhi to discuss the country's nuclear program and request assistance. As Modi Gears Up to See Abe Again, What's Holding Back India-Japan Ties?Vietnam's President Heads to India: What to ExpectThe Future of India's Ties With ASEANHow India's State Governments Boost Outreach to Southeast AsiaWhat Did the Malaysian Prime Minister's Visit Mean for India's 'Act East' Policy?